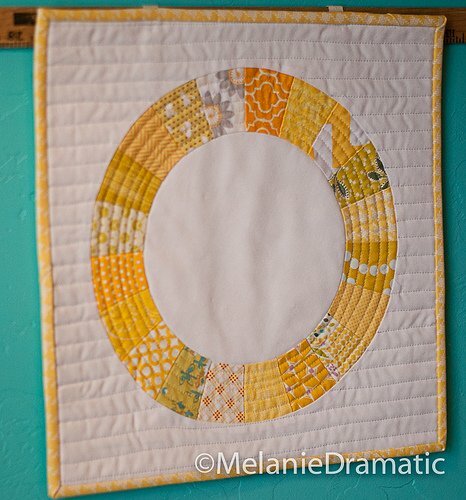 "As requested by many on instagram and twitter, today I have a tutorial for you on how to make a ring mini quilt (or make several blocks for a full sized quilt.) The four I made as gifts finished at around 15 inches square. The one I made for myself in this tutorial is a bit smaller. It would be easy to adjust to whatever size block you want. 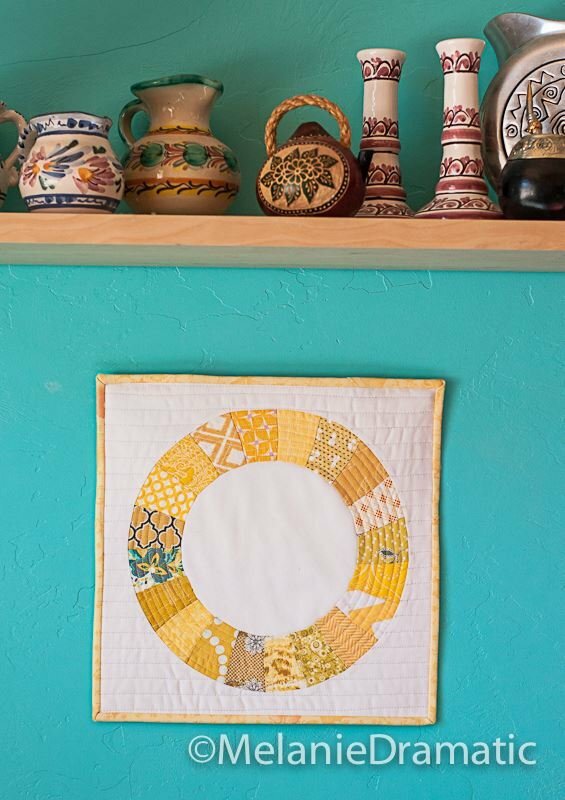 "I had been contemplating these quilts for a long time now, thinking about how to make it. I thought about paper piecing quadrants, but didn’t want seams on the background and center circle. 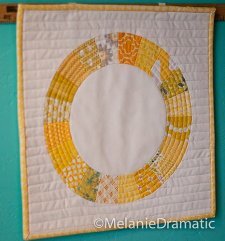 Then when delightful Cristy changed my life (with the glue), I knew that I could use glue to make my circles. The deal was finally sealed when I was a Joann’s with two 50% off coupons and I spotted an Easy Dresden ruler. It was the perfect way to make my wedges! (And it ended up being less than $4!)"